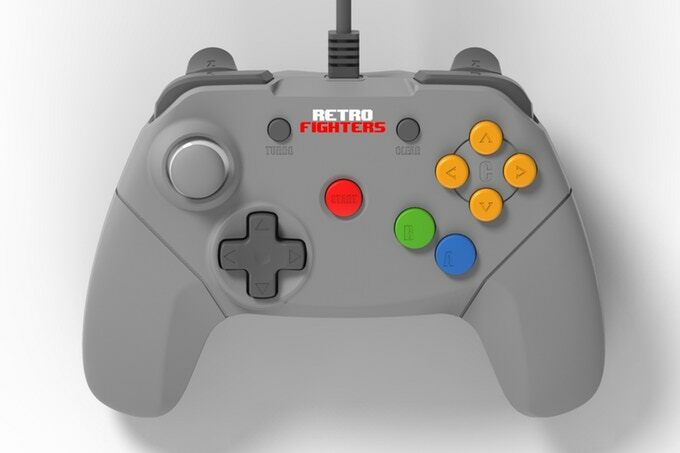 The overwhelmingly positive reaction to Retro Fighters’ recent Kickstarter campaign to produce a new type of N64 controller highlights once again the huge demand for a reliable, aftermarket joypad. Will the N64 Retro Fighters Controller finally provide the ideal solution N64 gamers have been crying out for? 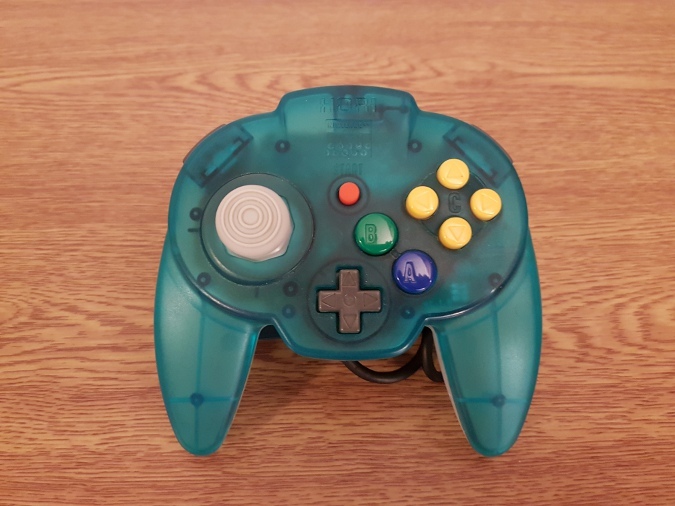 Launched earlier this week, the N64 Retro Fighters Controller Kickstarter campaign flew past its initial goal of $13,000 USD in only a day and, at the time of writing, stands just shy of the $100,000 mark. Most of the images on the campaign page are only 3D renders, although one photo does show what is apparently an early working prototype. As with most Kickstarter campaigns, there are a number of backer rewards to choose from, and the $20 option is the lowest price pledge that will net you one of the controllers. What is the N64 Retro Fighters Controller? Designed to be used with original N64 consoles, the N64 Retro Fighters Controller does away with the classic three-pronged shape of the original N64 controller. Instead, it adopts the look and feel of modern video game controllers, such as the Xbox 360 controller. The Z-button has morphed into two shoulder buttons that sit on either side of the controller, while other changes include turbo functionality and a circular joystick, as opposed to the octagonal joystick base found in original N64 controllers. The controller reminds us of Nyko’s Alpha 64 controller – a third-party pad from back in the day that borrowed the design and layout of Sony’s Dual Analog Controller for PlayStation. It’s important to note that the campaign only launched earlier this week, and that Retro Fighters isn’t intending to ship the final product until November 2017. What follows is only our reaction to the initial reveal; we won’t be able to give you an in-depth review of the controller until it is released. The updated form and button layout of the N64 Retro Fighters Controller is a welcome change in our eyes. As much as we love the original N64 controller, the three-pronged design is something of a hindrance, as parts of the controller become redundant (or awkward to use) depending on a game’s control setup. Even 20 years later – and in the age of YouTube no less – swathes of people still don’t know how to correctly hold an N64 controller, reinforcing the view that it’s not comfortable to use. Any controller that makes the N64 a more accessible console is a good thing. While $20 is an enticing price for a controller, it does raise the question as to whether the quality of it will be any good. There’s already a wealth of aftermarket controllers available for the N64, the majority of which have a bad reputation for their poor build quality, most notably the joystick component. The early N64 Retro Fighters Controller concepts clearly show a joystick with a more modern design, which is understandable; the original N64 controller’s joystick is inherently flawed, wearing away over time to the point where it eventually becomes virtually unusable. At the same time, few third-party joysticks offer the same level of accuracy as the original – not even the almighty N64 Hori Mini Pad – often proving to be overly sensitive when used with certain games. Some backers have questioned whether speedrunners will adopt the controller, due to the joystick gate not having the directional grooves found on the original controller. We can only give them the benefit of the doubt for now, but we’re not hopeful given the precedent set by past aftermarket N64 controllers. The fact that the stick has not been covered in any real detail in the project description is worrying, as it’s arguably the biggest concern for everyone who still plays N64 on a regular basis. For the sake of comparison, Steel Sticks 64’s ongoing project to redesign the N64 controller’s joystick has an asking price of $125 per joystick module; it’s steep, but feedback from testers and speedrunners so far has been incredibly positive. Can a $20 pad really achieve a similar level of quality? The N64 Retro Fighters Controller’s button layout will at least offer an improved experience when it comes to games that employ the joystick, face buttons and the D-pad simultaneously. Having everything within easy, comfortable reach of your thumbs is a huge plus. The A and B buttons look like they sit farther away from the C-buttons – not an issue for the average player, but something that again could prove to be at odds with the speedrunning and competitive Super Smash Bros. communities. Having a Z-button on either side of the controller is a good decision: we know it already works well on the Hori N64 Mini Pad, and, above all, it puts the choice in the player’s hands. no. I love the simplicity of the 3 pronged controller and button are all placed very well already. We’re optimistically cautious about the N64 Retro Fighters Controller. Third-party pads are typically known for their duff reputation, but this project has still attracted a lot of funding, suggesting N64 gamers like what they see. If Retro Fighters can focus on getting the important bits right – namely the joystick and build quality – then it may have a winner on its hands. We’re looking forward to going hands-on with the controller later this year.